Bally Technologies is an industry leader and innovator that has built its name developing slot machines and numerous other technologies for both traditional and online gambling. The games developed by Bally Technologies have a major presence in Las Vegas, Atlantic City and now across the Internet. The company originated in 1968, then known as Advanced Patent Technology. Eventually, the company changed its name to Alliance Gaming and, in 1996, acquired Bally Gaming International. In 2006, the entire company adopted the Bally name, and then the company was acquired by Scientific Games in 2014. The acquisition of BGI was a successful effort to get a foothold online, and thanks to that, the Bally name is a familiar to online gamblers as it is to casino-goers. Consumers associate the Bally name with quality gaming experiences and technical expertise, and that’s the primary reason for the resounding success the brand has enjoyed. Bally slot machines have brilliant graphics, are easy to use and play fair. These games have excellent soundtracks as well, and Bally does a good job of loading games with features and introducing features that gamers haven’t seen before. Bally was also one of the first online slots developers to integrate social features as well as one of the first to have original scores made for its games. Advanced Patent didn’t transition into the gaming industry until 1979. That was the year it acquired United Coin Machine Company, which owned and operated one of the largest slot routes in Nevada. There were originally plans to open a casino in Las Vegas, and while those didn’t pan out, the brand not only expanded its routes but became more innovative and productive. Bally is an interesting case study due to its resiliency. It’s pre-1996 history especially is wrought with challenges, but the people leading the company always found a way to focus on what it did best and weather the storm. 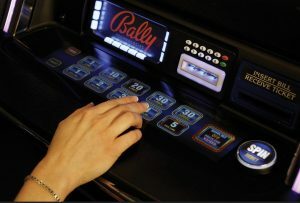 Similarly, Bally transitioned from a company that developed machines exclusively in the U.S. to one that provides games to online casinos throughout Europe and the world. Even back in 1979, Bally had a reputation for innovation. Its games experienced great success in Las Vegas casinos because they were different but also because they were fun to play. Over the years, the recognition value of the Bally name became tremendous. If you walk into a casino and see a new Bally game, you’re likely to play it simply because you know that Bally makes great games like Vegas Hits or Double Dragon. The same is true today with the company’s online games. Today, Bally Technologies is also one of the most popular casino brands in the mobile sector as well. Much of its library is available via a mobile app that supports Android and Apple. In addition, any online casinos that hosts a Bally game has access to the mobile software and can provide that support to its clients. Bally doesn’t just make a basic casino app either. It incorporates a wide range of special features that casino operators can provide to their clients. In addition to casino games, support for smartphones and tablets includes watching videos, interactive multimedia, surveys, feedback and even special bonus deals. Additionally, Bally provides full support to customers through the app. Bally also develops software that supports the casino operators and helps them plan staff and handle other aspects of their business. Bally has developed one of the most popular mobile casino platforms. It’s clear that players enjoy these experiences, but accessibility is also an important factor. 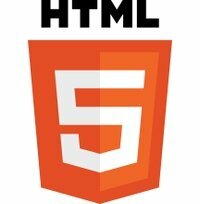 Bally doesn’t just support iOS and Android but has HTML5 alternatives for nearly every game that support nearly any smartphone or tablet. Online, Bally tends to focus on slot machines, and the selection it offers ranges from classic fruit machines to modern video slot games. Bally also places a lot of emphasis on features. Most Bally games have numerous features, and the company likes to introduce new ones. Bally games have the basics too, including wild symbols, scatter symbols and free spins. A design principle of Bally is that every spin should be entertaining and create tension, and a varied approach to features helps to achieve that. There are two notable examples of Bally innovation: U-Spin and the Command Center. U-Spin is a feature available in casinos that allows for greater interactivity. These machines tend to have large screens, and players can actually reach out, grab and spin the reels. U-Spin machines even detect grip pressure and hand speed in order to determine how fast the reels move. This feature takes place behind the scenes. It lets Bally have access to every Bally game from a centralized location. If there is a technical issue, Bally technicians know about it right away and can begin working on a fix immediately. Bally is an outstanding developer that has not only pleases fans but has helped shape the industry. Anyone who wants more information about the company will find it here as well as a directory of all the online casinos that currently host games from Bally Technologies.